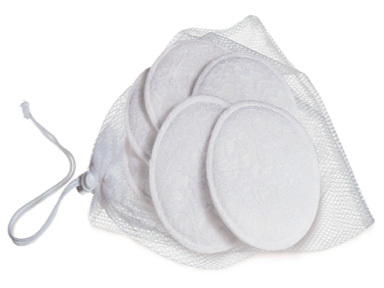 These pads are soft and feminine. The four layers give complete protection against leaking breast milk. Package contains 6 washable pads. Lace outer layer- prevents slippage. Water resistant layer- protects clothes from wetness and staining. Ultra absorbent layer- soaks up excess milk. 100%cotton inner lining- soft and gentle against skin.